A sweeping new adventure, set in the Sinnoh region of the Pokémon world, packed with new features – such as new ways to play online at the Wi-Fi Plaza over the Nintendo Wi-Fi connection and the ability to save your greatest victories in the Vs. Recorder – will electrify fans of the Pokémon series. 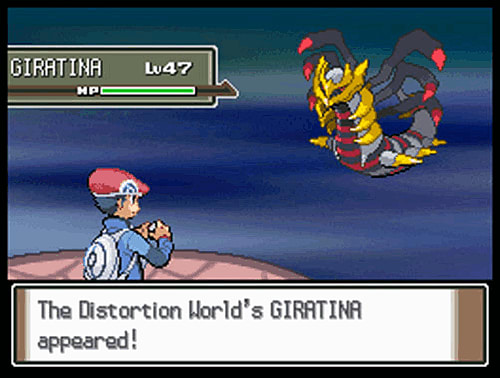 A brand new Distortion World, governed by neither time nor space, also emerges, which provides a whole new gameplay challenge! Perhaps most excitingly of all, one of the rarest and most popular Pokémon, Shaymin, available only on Pokémon Diamond Version and Pokémon Pearl Version through special events* appears in a new Forme in Pokémon Platinum Version. Transfer Shaymin from your Pokémon Diamond Version or Pokémon Pearl Version game to your copy of Pokémon Platinum Version to discover the never before seen Sky Forme, with a new appearance, new attributes and special powers. 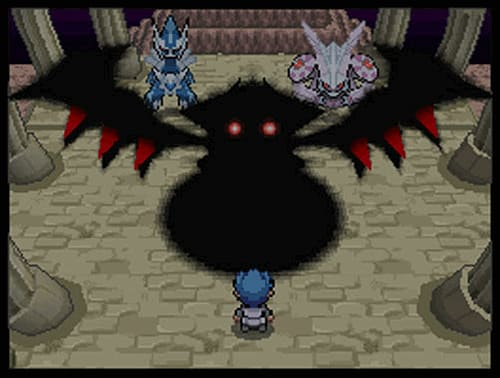 And when it comes to battling, Pokémon Platinum Version certainly packs a punch! An all-new Battle Frontier, a special building packed with challenges and tournaments, is accessible after defeating the ‘Elite Four’ and the Pokémon League Champion – the game’s final boss Trainers – and gaining a ferry ticket to the Fight Area. Not only are the final bosses harder to beat than ever before, but once you’ve overcome them and entered the Battle Frontier, you’ll find the fighting has only just begun! 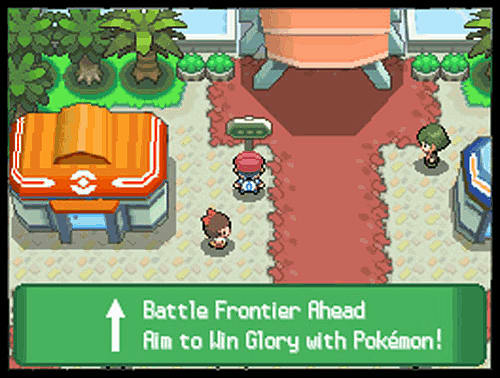 The Battle Frontier contains five different Battle facilities, with each facility awarding Battle Points that can be traded for fantastic prizes. 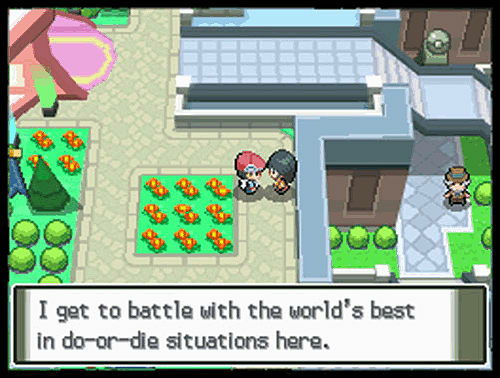 In addition, the Global Trade Station from Pokémon Diamond Version and Pokémon Pearl Version has been expanded and renamed the Global Terminal, where you can check out other people's battles. Battle Videos are listed by popularity, so you can easily locate great content! You can save Battle Frontier and Wi-Fi battles via the Vs. Recorder, so that you can connect with Pokémon fans around the world and interact in new ways. Re-live your victories – or use them to gloat and provoke your friends into online battle! 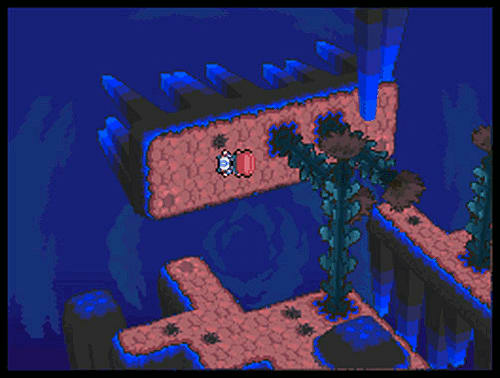 Pokémon Platinum Version is designed to make online play as simple and exciting as possible. In the basement of every Pokémon Center is a Wi-Fi Plaza where up to 20 players can connect wirelessly and play games together in real-time. As well as trading and doing battle with friends with whom you have exchanged Friend Codes, there are a number of mini-games available to play together in the Wi-Fi Club. There are hundreds of hours of immersive gameplay to be enjoyed in what is anticipated to be another epic Pokémon adventure.